The SK3-0 surge suppressor offers reliable surge and line noise protection. 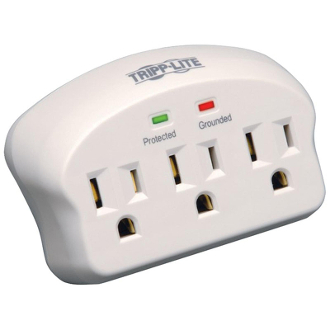 The compact direct plug-in design allows for easy portability and features 3 outlets and 660 joules of surge energy absorption. Diagnostic LEDs alert you to potential wiring or protection faults before connected equipment is damaged. $5,000 Ultimate Lifetime Insurance (USA & Canada only).